Is a pop up camper right for your family? We bought one six years ago and joke that it was the best and worst decision we ever made. 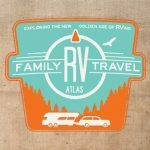 It was our best decision because it introduced us to RVing, and we started to build a treasure chest of family memories. It was our worst decision because we spent too much on a fancy model that we didn’t end up keeping for very long. Most pop up owners hold strong opinions about their campers, both positive and negative. Proponents wax poetic about how the small size and ample screened windows allow campers to get deep into the heart of nature. Critics howl about how easily components break and how complicated they are to set up. Back to nature: Because of their small size, pop up campers can pretty much go anywhere. Many beautiful National Park campgrounds have sites designed over 50 years ago when RVs were much smaller. Today’s massive motorhomes and titanic toy haulers cannot fit in many NPS campgrounds. A pop up can place you under the stars in Zion National Park, or on the sand in Cape Hatteras National Seashore. The screened windows allow you to take in stunning views from the comfort of your couch. Storability and towability: Pop up campers can be easily towed by a minivan or SUV. That means no additional vehicle purchase is required. You can use the one already in your driveway. And speaking of the driveway, the pop up camper won’t take up that much of it, leaving room for cars and even the basketball hoop that the kids begged you to install. Too much set up and break down: For some, setting up and breaking down takes up too much precious vacation time. That was the case for us. We had to raise the roof, push out and stabilize the beds, and fasten the canvas. This process is not necessarily complicated, but there are certainly more moving parts than on any other towable RV. More breaking down: Speaking of those moving parts—they sometimes break! The mechanical underpinnings of a pop up camper are more complicated than those of a travel trailer. Many fans of the pop up camper are handy, and don’t mind fixing broken roof lifter systems. We don’t fall into that category. The price of a pop up camper can be a pro or a con depending on how much you spend. Many people overspend on their first pop up and then decide to upgrade very quickly. This can leave them underwater, particularly if they financed the purchase. If you buy an entry level pop up, or find a deal on a used one, the low price is a pro. Why? You will be entering the RV lifestyle at a reasonable price point, and you will love it. So is a pop up camper right for your family? Ultimately, only you can decide. Why does car insurance cost what it costs? Save Why does car insurance cost what it costs?